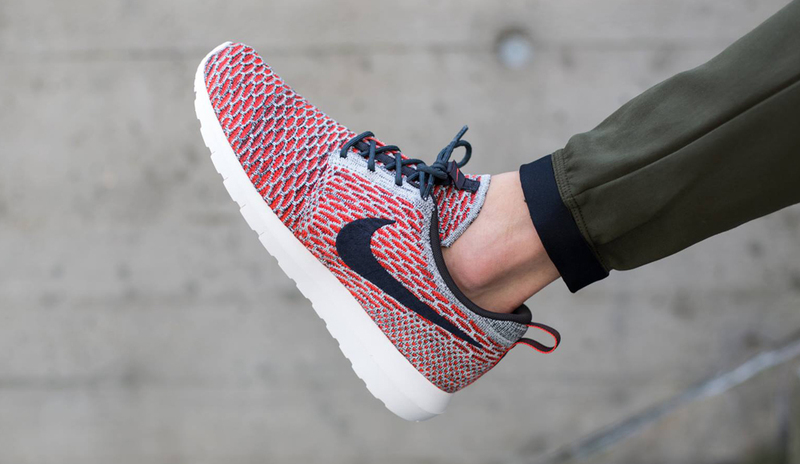 Nike is fully committed to using Flyknit in almost every category in the brand's massive repertoire. 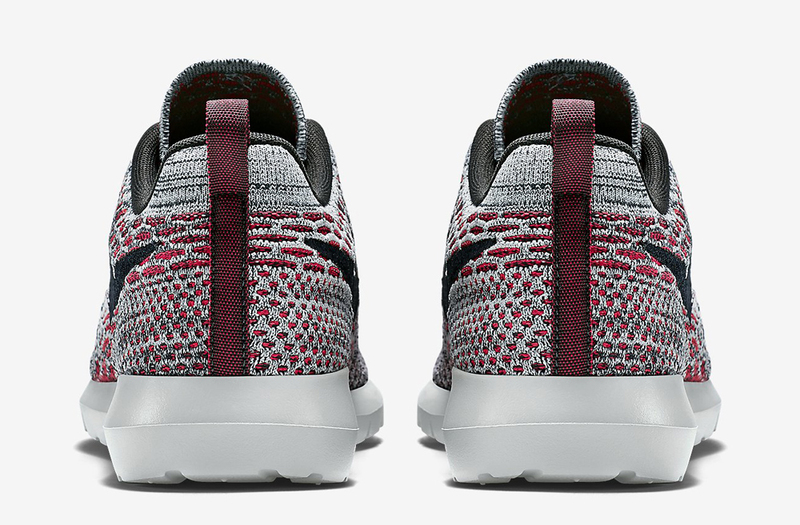 The tech has been used plenty on Nike Sportswear models that aren't really intended for a given sport, and are more upfront about their lifestyle status. 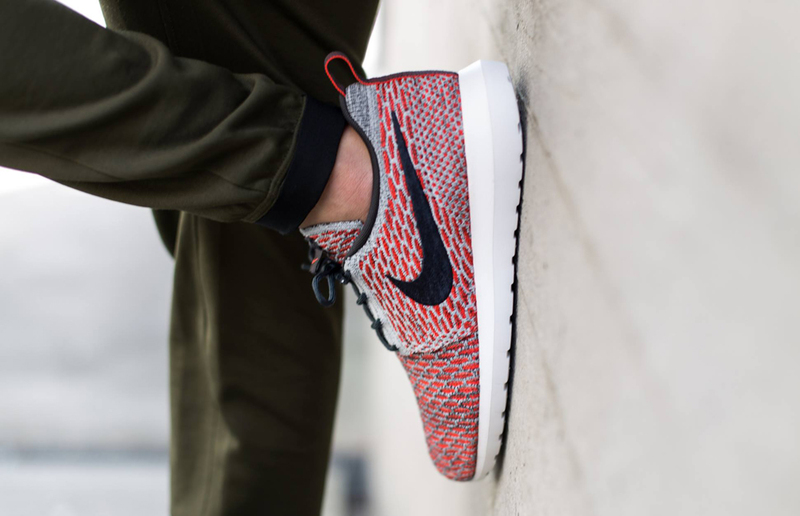 One of those shoes is the Nike Flyknit Roshe Run, a design that's been turning heads ever since the first catalog scan appeared online. 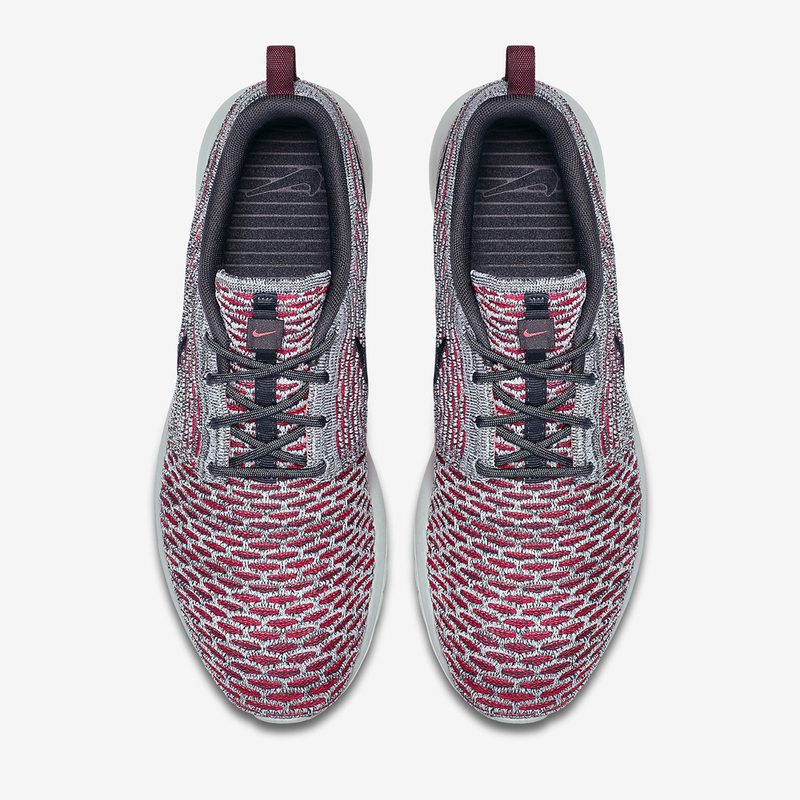 The latest for the model is this pair, which combines pure platinum and bright crimson colors. 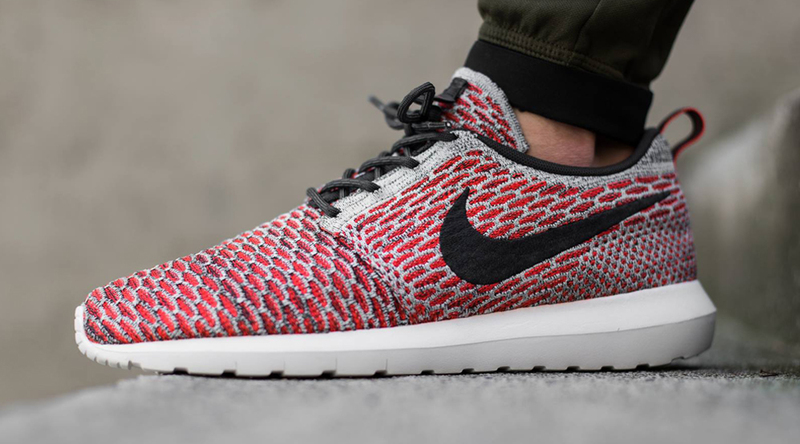 This pair of the Nike Flyknit Roshe Run can be purchased from Titolo now. 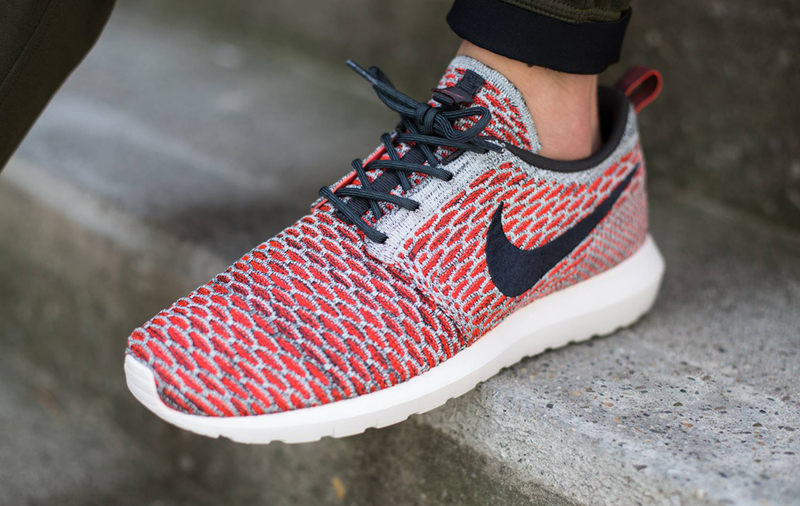 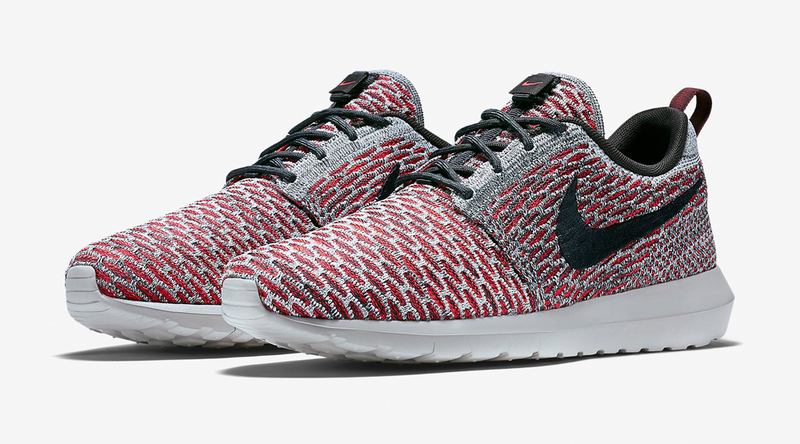 UPDATE 5/28: This Nike Flyknit Roshe Run is available now at Nikestore.